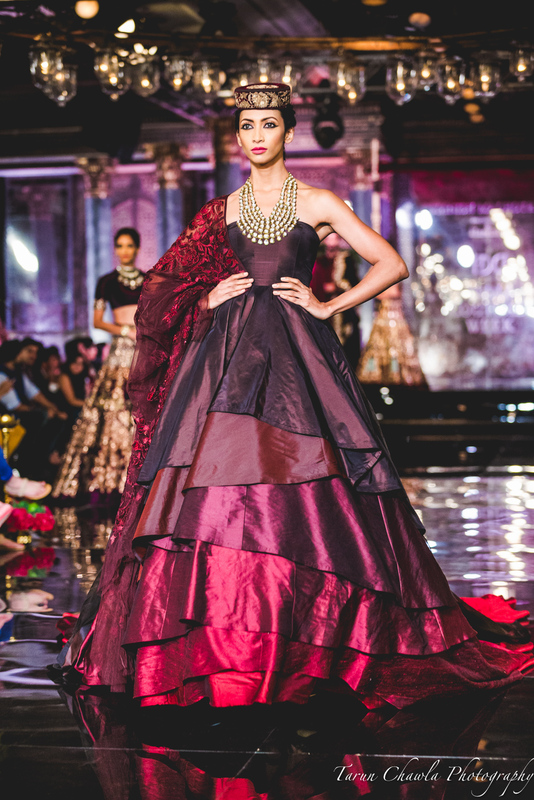 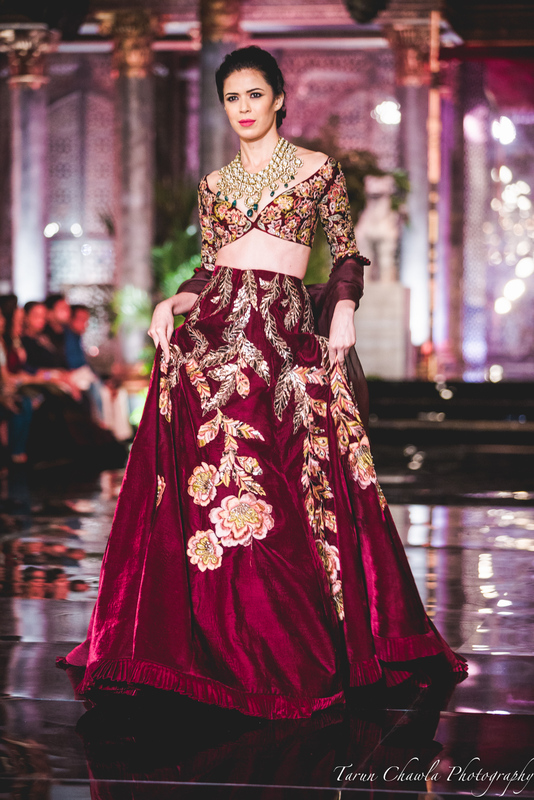 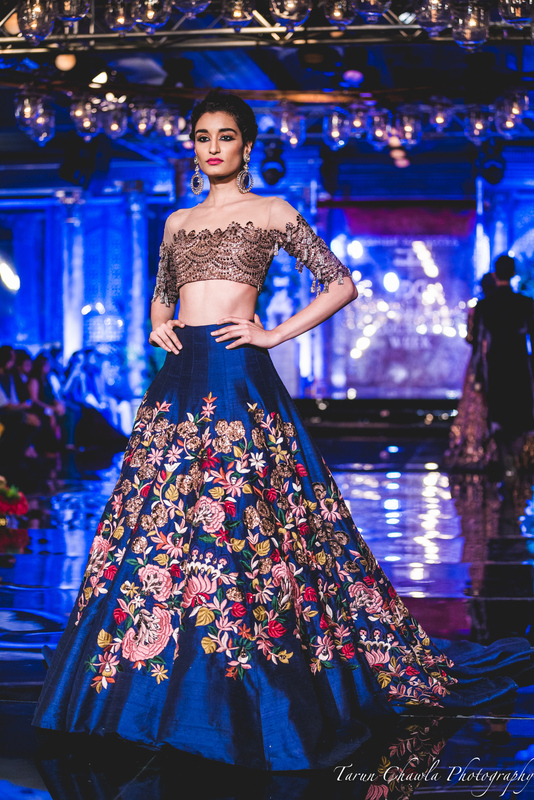 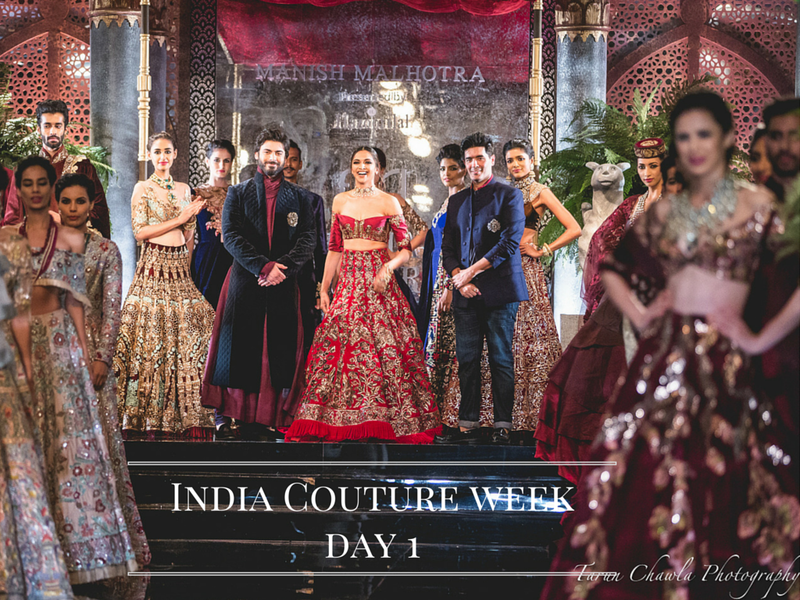 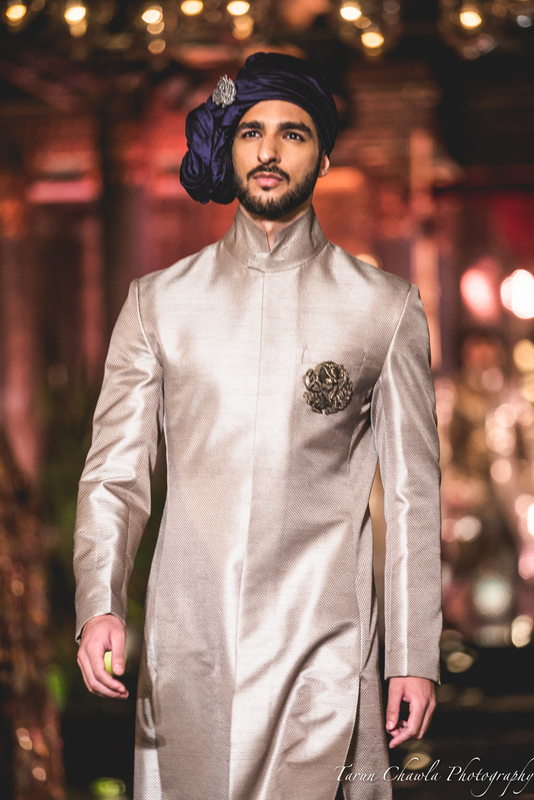 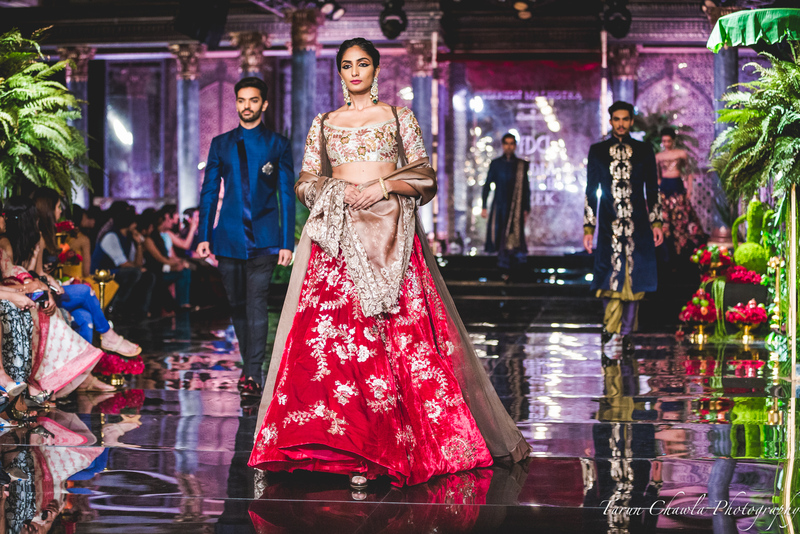 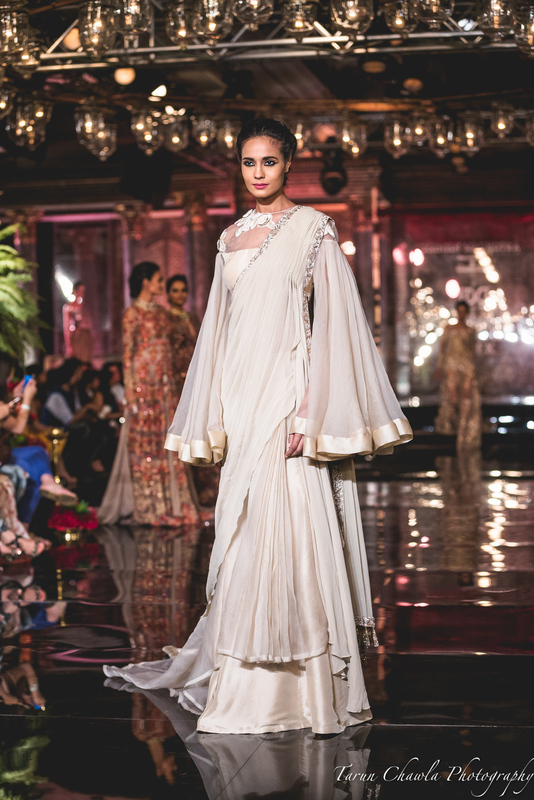 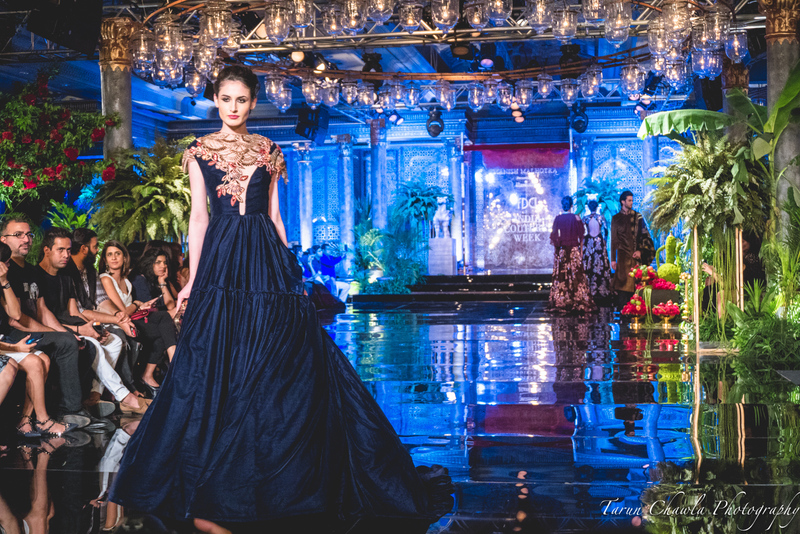 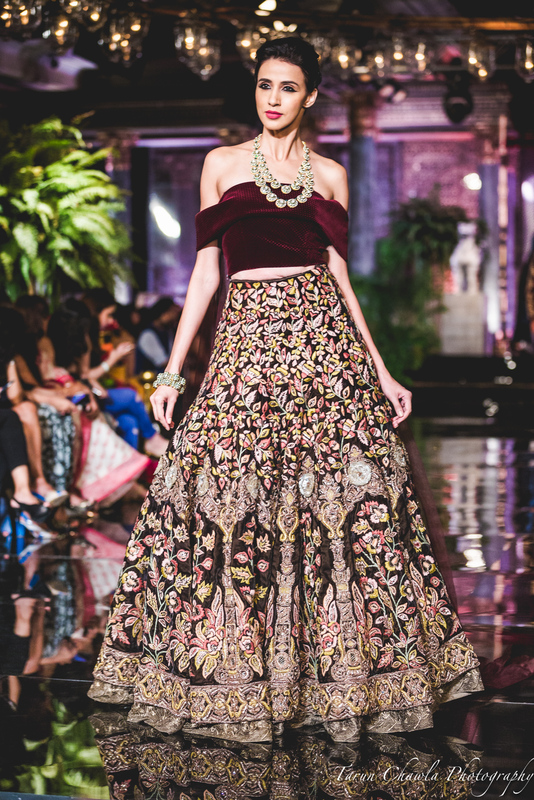 The Persian Story - Manish Malhotra for India Couture Week 2016 - BREVILOQUENT. 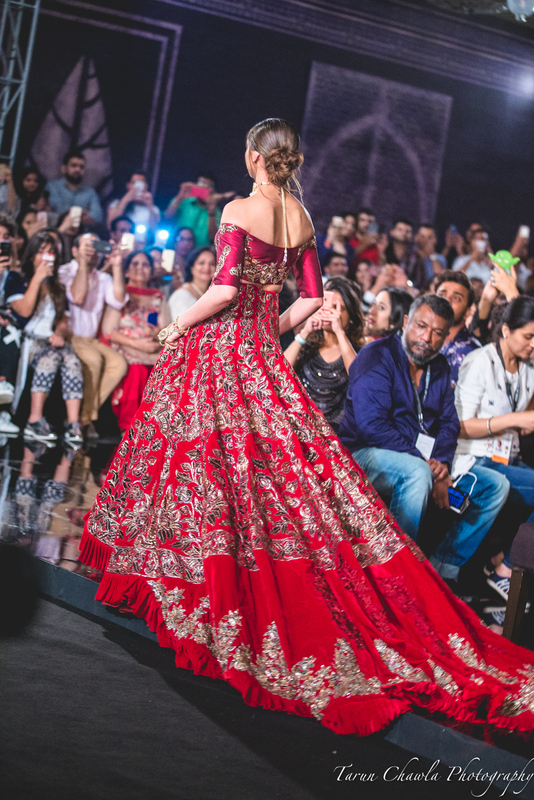 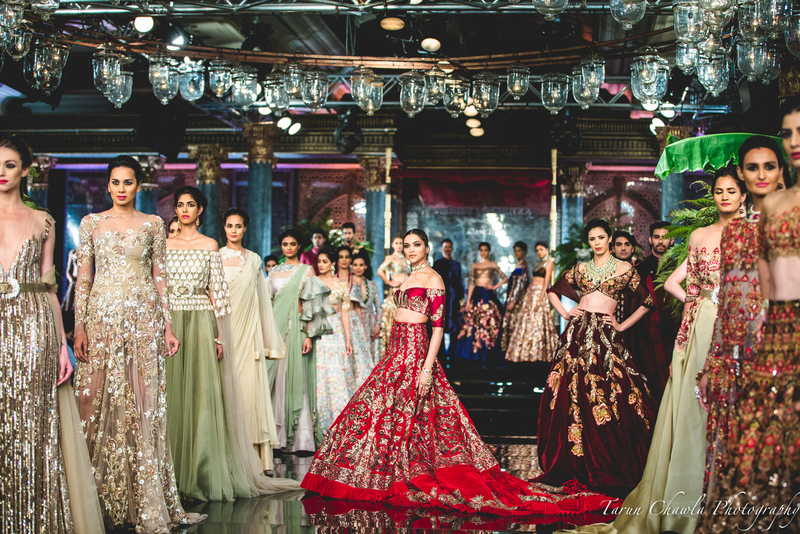 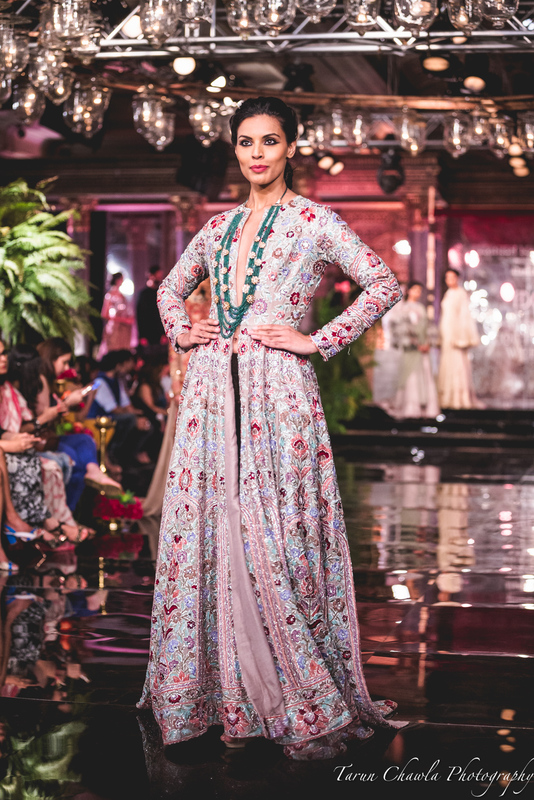 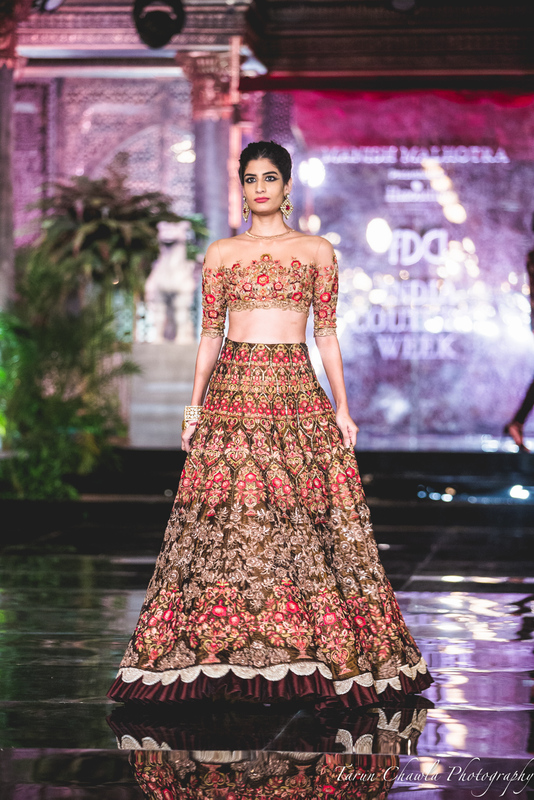 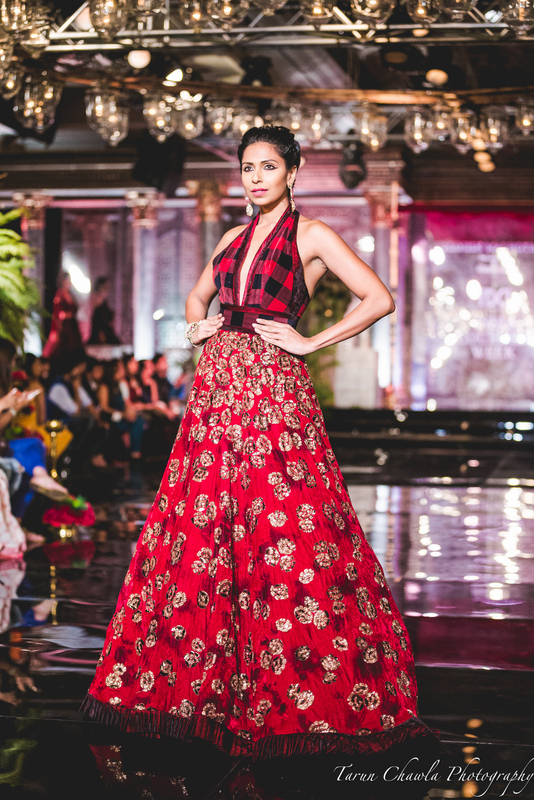 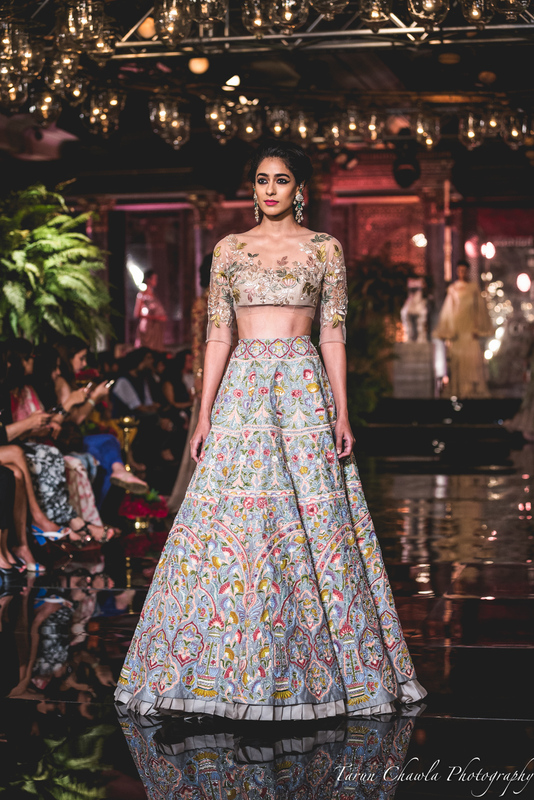 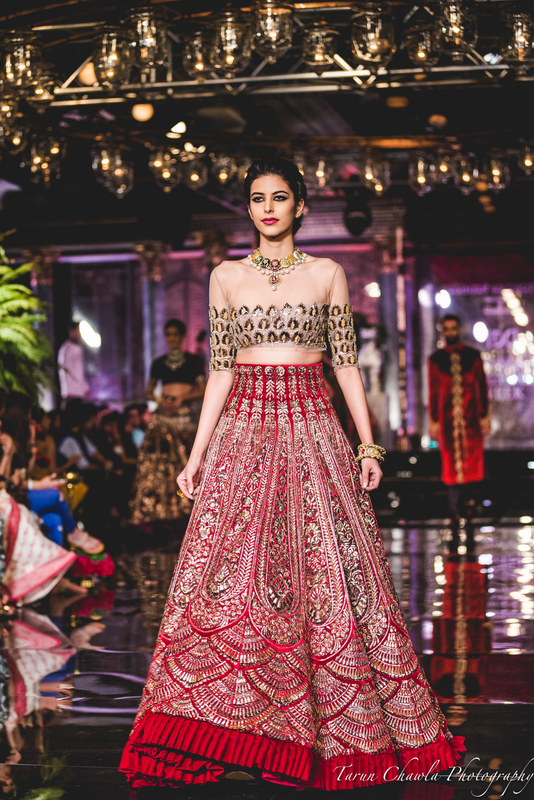 Manish Malhotra's baroque set up, dramatic detailing, interesting cultural influence, intricate motifs, handwoven embroidery set off the first day of INDIA COUTURE WEEK 2016 in Delhi. 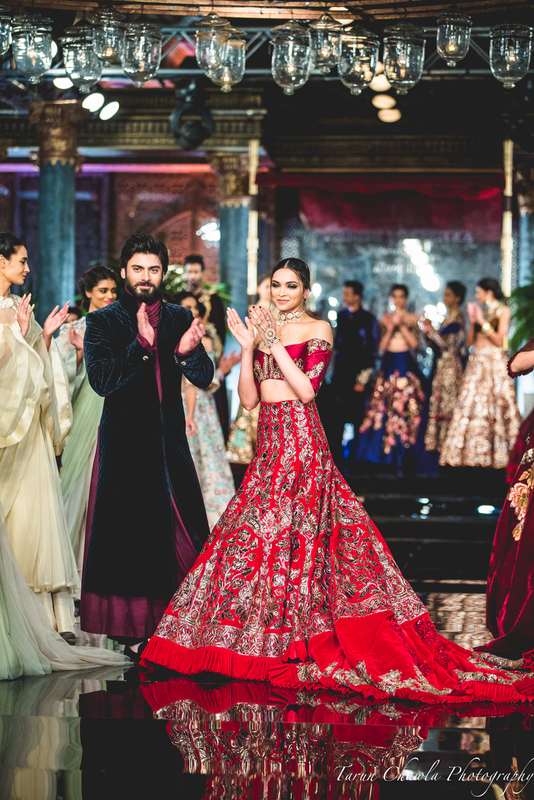 The Persian story starring the gorgeous Deepika and the heart throb Fawad had all head over heels. 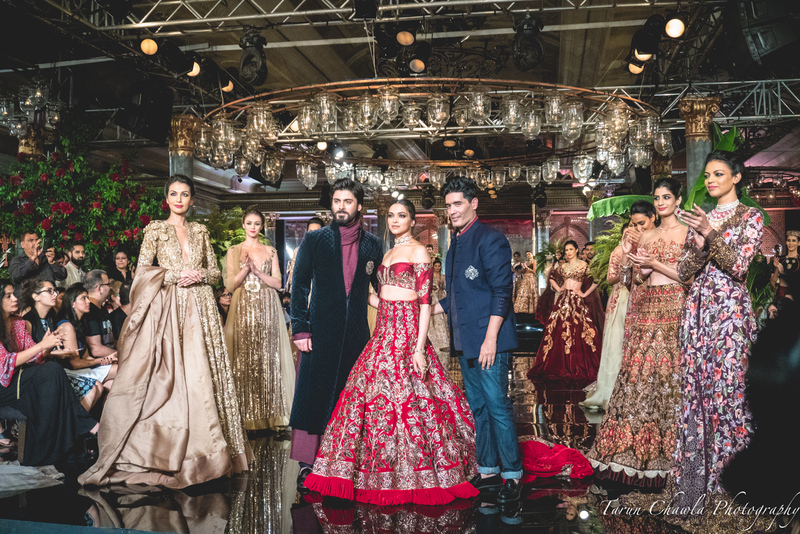 Showstoppers Fawad Khan and Deepika Paukone looked absolutely resplendent. 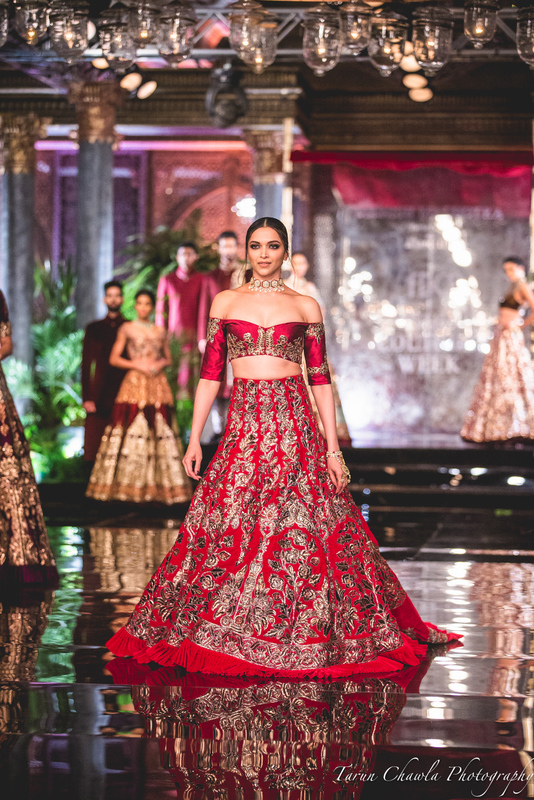 While Khan looked regal in his solids garb, Padukone's glittering red lehenga with heavy gold embroidery provided a fitting contrast. 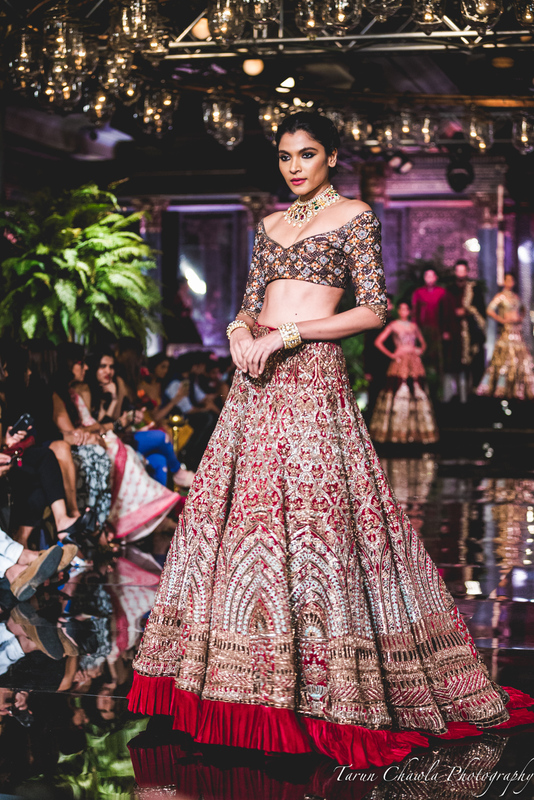 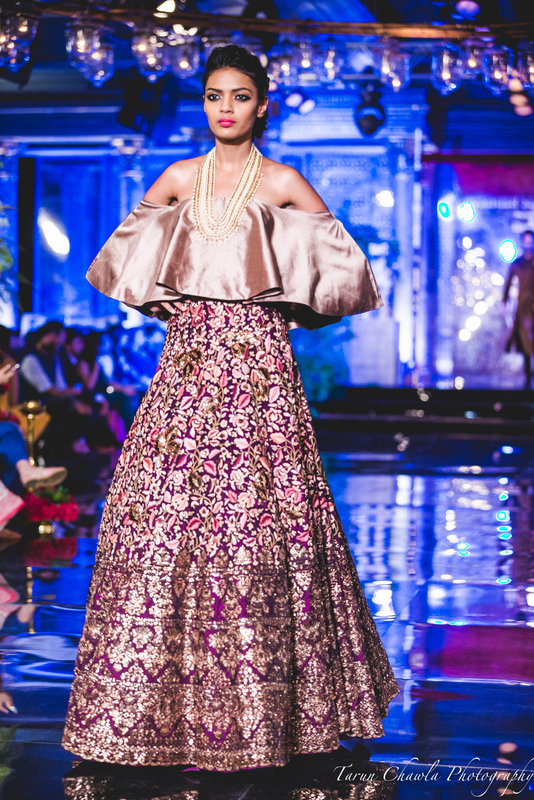 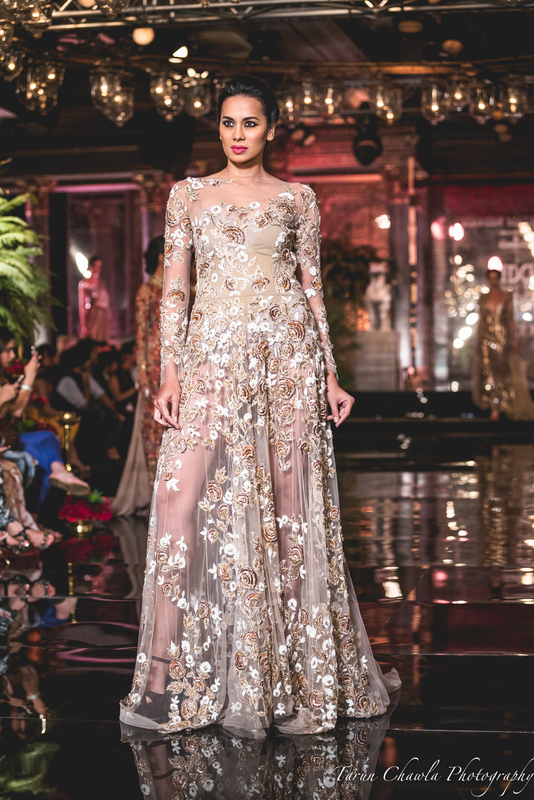 Indulgent hand-woven gold embroidery adorn sheer and velvet fabrics, in lehengas with sheer tops, opulent velvet jackets over cigarette trousers, exquisite gowns and regal sherwanis formed the basis of Malhotra's collection. 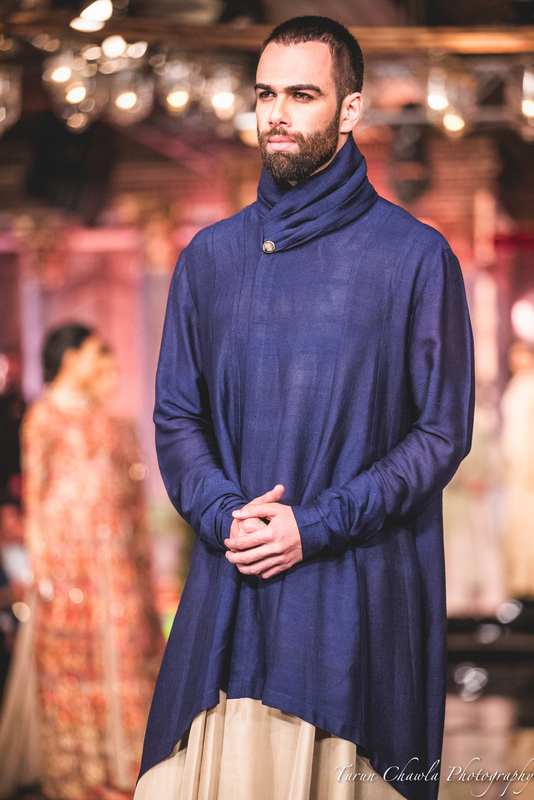 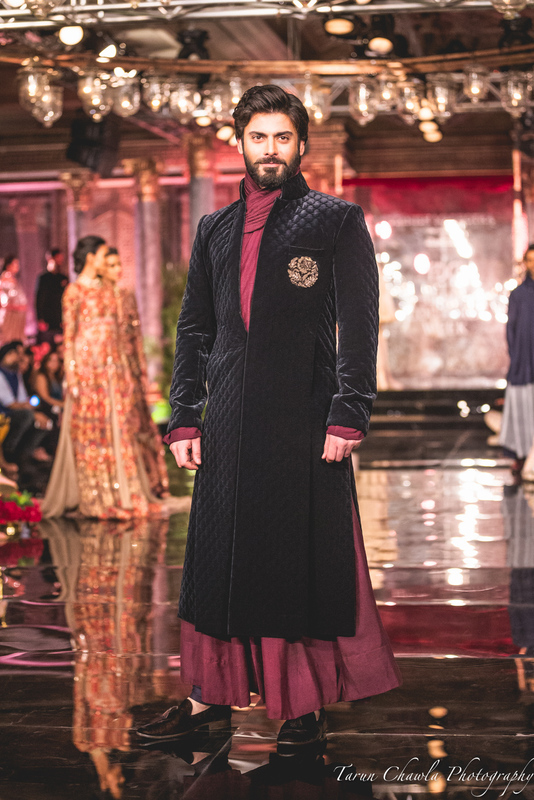 Though most of the collection was in hues of the earthy colors of brown, maroon and red, there were also a couple of pieces in shades of blue.